Stephen Lawrence case demonstrates that the Irish Government must reform criminal law to secure justice for victims of racist crimes urgently. There is currently no provision within Irish legislation to deal with racist crime. It is at the discretion of judges to consider racist motive as a factor when determining a sentence in a case; these cases are treated like any other case. Making racism a crime sends the message that racism is not acceptable in Irish society and helps secure justice for victims. The Network calls on the Government to prioritise legal reform to deal with racism adequately in Criminal Law. 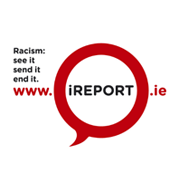 Reports of racist incidents received the Irish Network Against Racism (ENAR Ireland) indicate the urgent need for action by Government on racially motivated crimes. Many of the commitments made by governments to protecting ethnic minorities from racist crime, have not been met. The UN has criticised the State’s response to racist incidents. Early last year the UN Committee on the Elimination of all Forms of Racial Discrimination (CERD) noted with regret that the review of the Incitement to Hatred Act 1989 had stalled. It also recommended that the racist motivation be consistently taken into account as an aggravating factor in sentencing practice for criminal offences. It recommended that the State take appropriate steps to encourage the reporting of racist incidents and crimes. Two thirds of the incidents reported to the Network, the national independent monitoring organisation, involve racist violence and crime. Yet Ireland still struggles to monitor racist incidents and legal reform has not kept up with the changes in Irish society. Racist incidents are often not reported to police and sometimes people feel that they may not be taken seriously. Only one in six of the people who came to the Network had reported the incident to the Gardaí. Under-reporting is an issue internationally. The Network is working with NGOs and the authorities to try to make sure that there is effective monitoring of racist incidents. This requires commitment from Government. Legislation plays a key role in addressing racism. Legislation should be introduced which employs a combination of racially aggravated offences and penalty enhancement provisions. The Government needs to support a comprehensive mechanism to monitor racist incidents, which includes NGOs as equal partners in the process. Garda systems must be enhanced to protect against any failure to properly record or follow up on reports of racist incidents. Conclude the review of the Incitement to Hatred Act. The Irish Network Against Racism (ENAR Ireland) is a national network of organisations and the Irish Coordination for the European Network Against Racism, an EU-wide network of over 700 NGOs. The Network is the National Independent Monitor of Racist Incidents in Ireland.